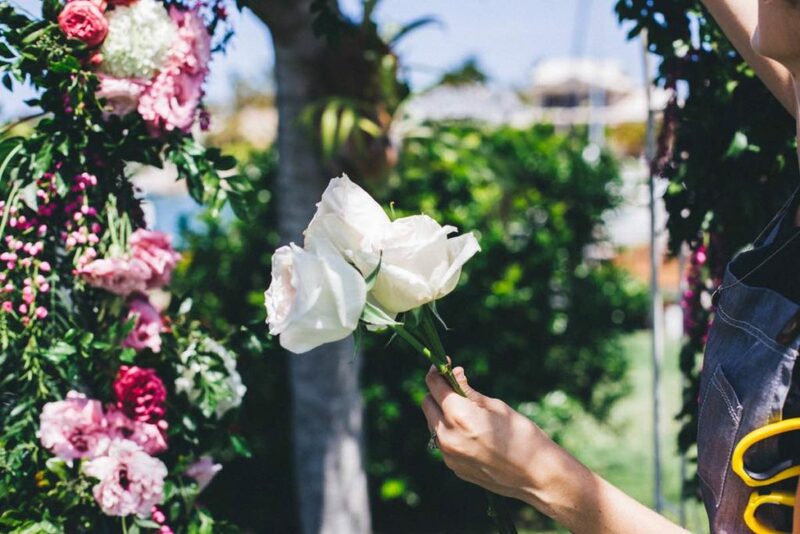 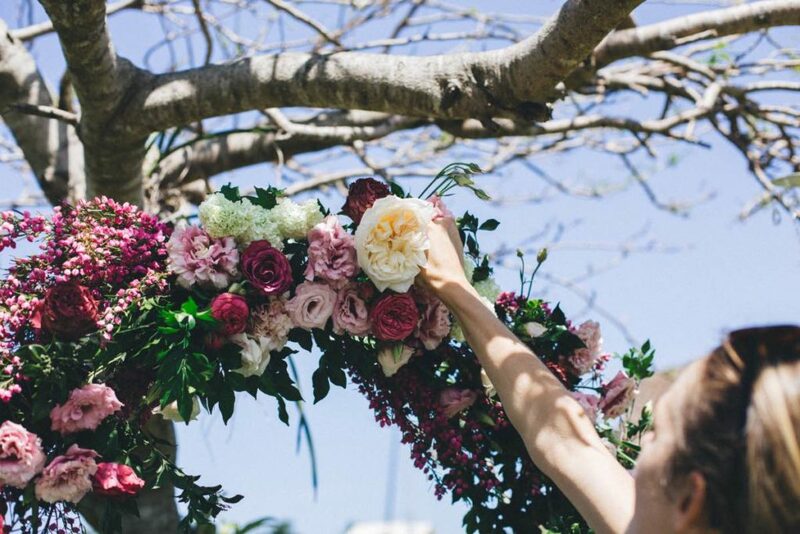 Soft and pretty florals adorned much of this intimate private property wedding. 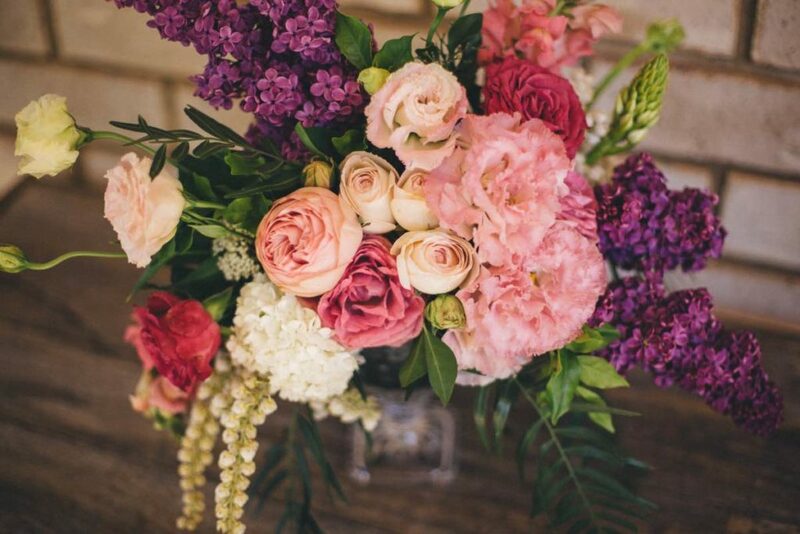 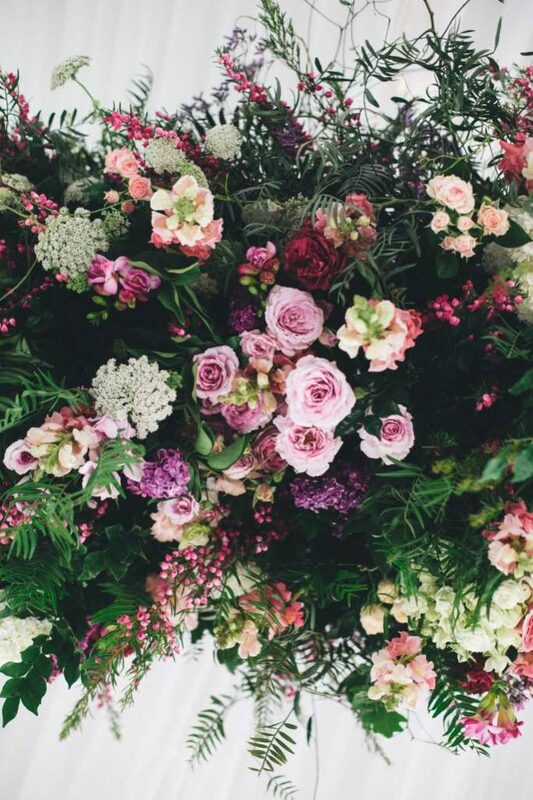 Garden-style florals including roses in soft pinks, purples and mauves. 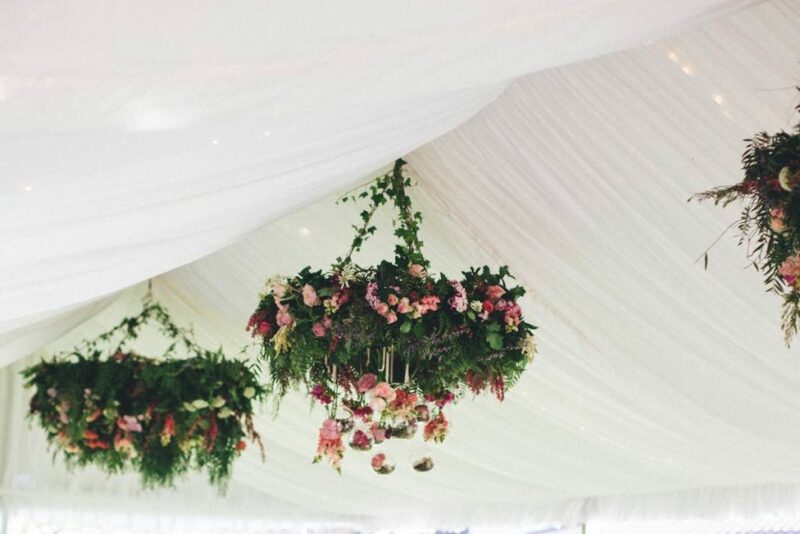 Lots of special little floral features on the day gave this wedding a really gardeny and flowery style. 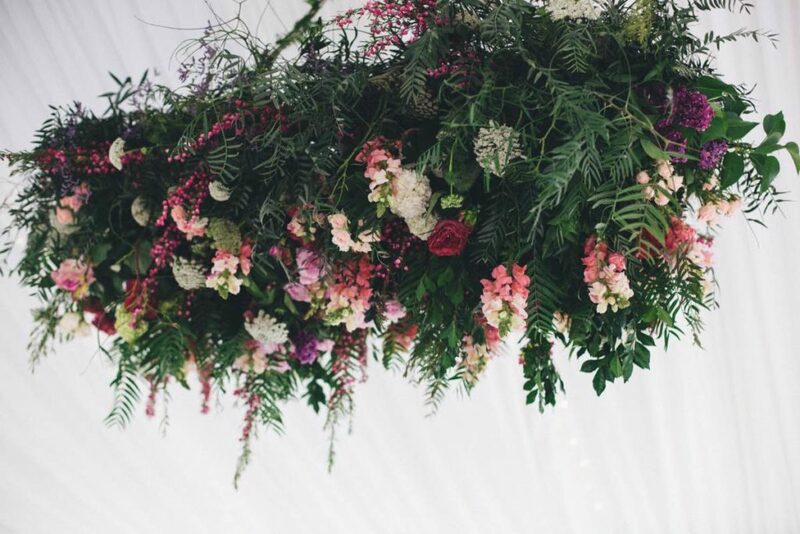 This wedding had a wonderful feel, from the full floral headpieces to the sweet ceremony space including the full floral archway, floating blooms in hanging vases and hanging crystal features. 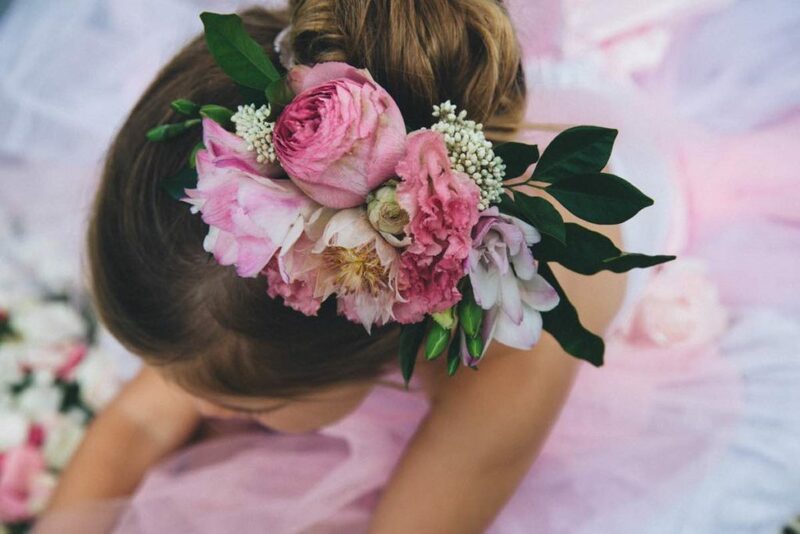 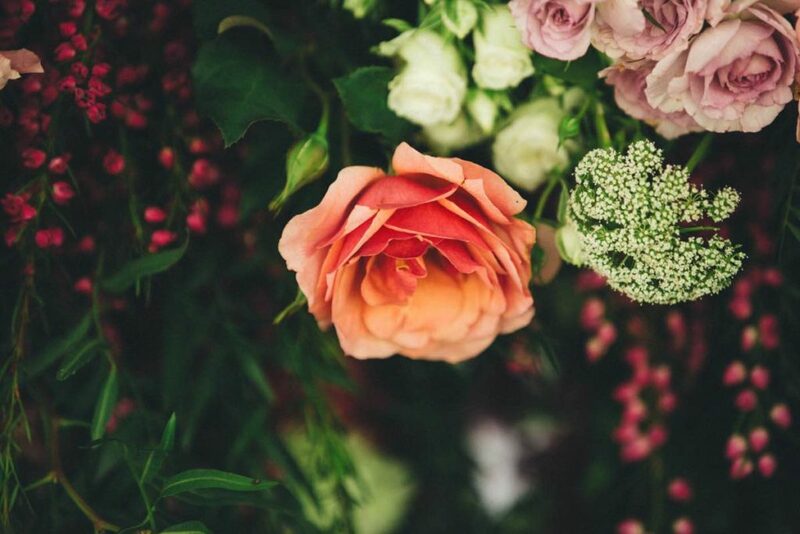 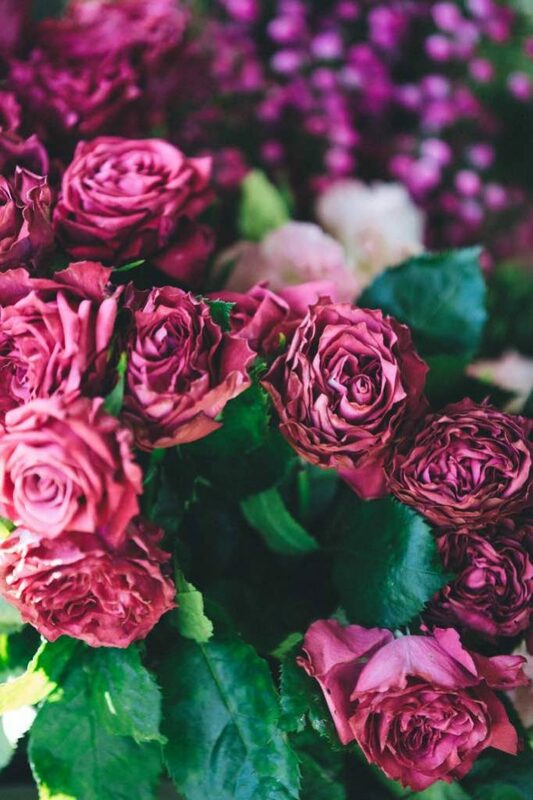 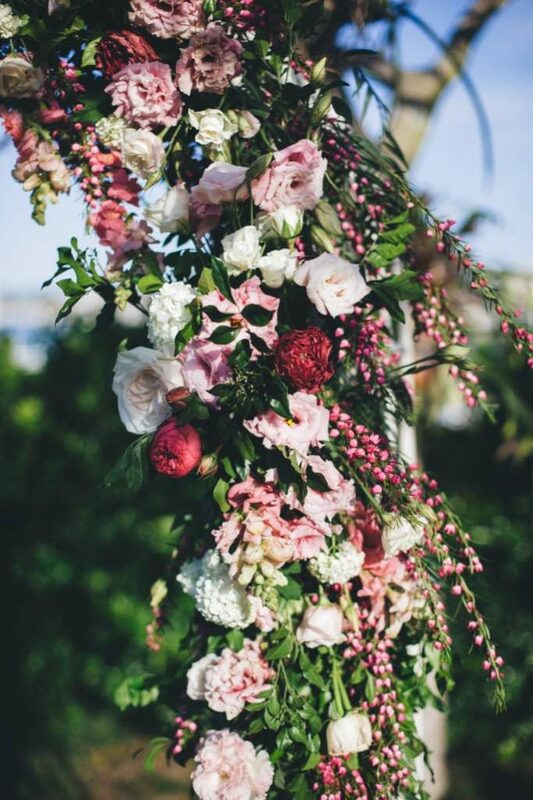 All the best of the lush florals from the season including roses, boronia, hyacinth, snapdragons, freesias, flannel flower, lilac, hydrangea, lisianthus, Queen Anne’s lace, Andromeda, chinchinchees and beautiful foliages like peppertree, jasmine and ferns. 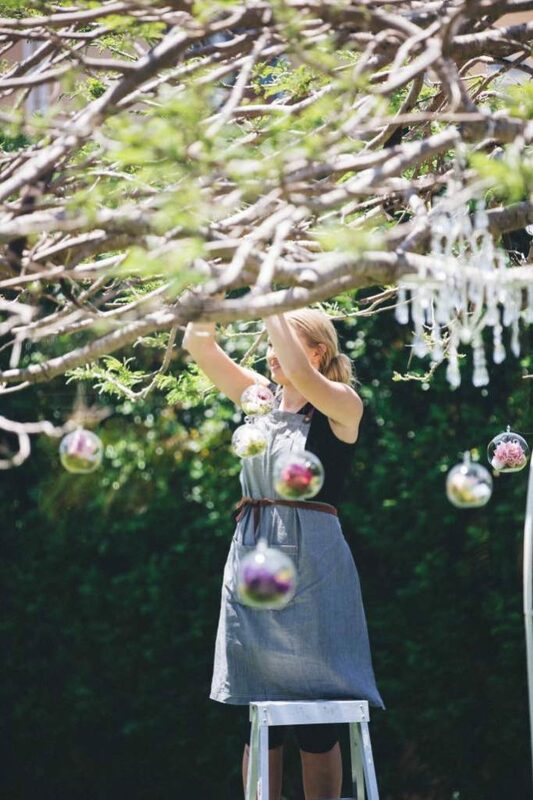 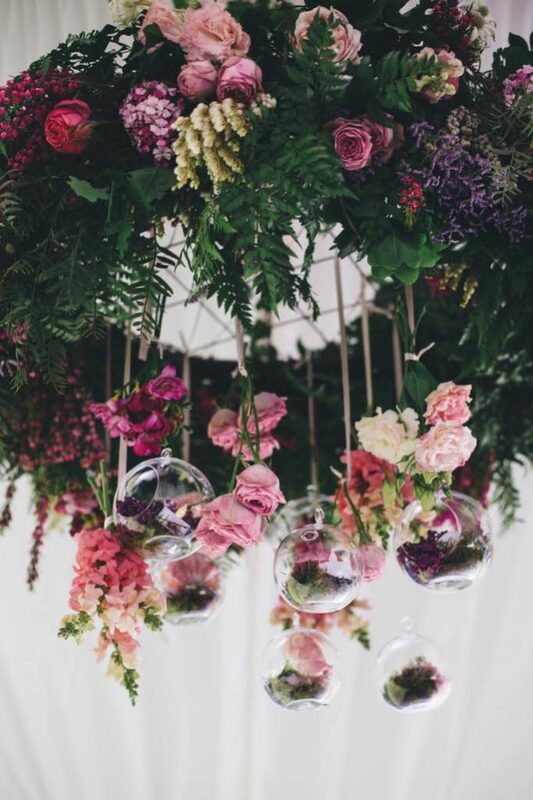 The reception space including stunning hanging installations full of foliage and flowers with feature hanging floral wreaths with hanging flowers and glass bubbles details. 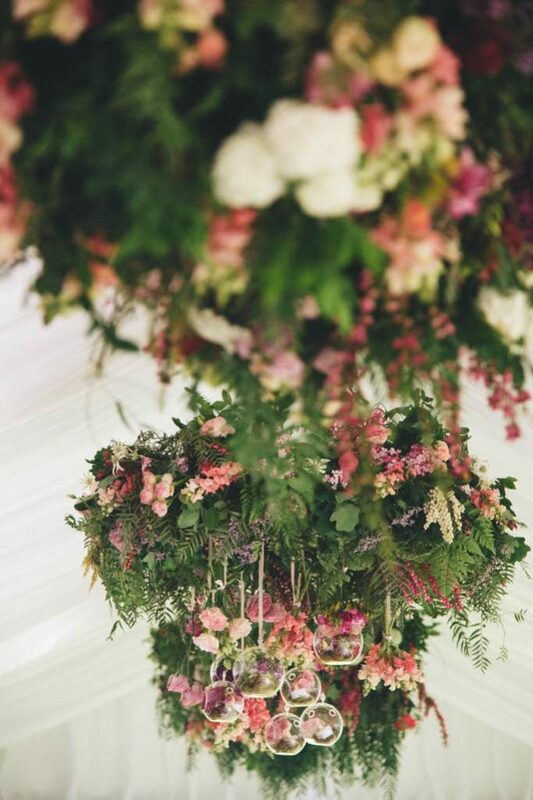 Assorted vases and barrel arrangements were placed around to give the entire space and full floral feeling. 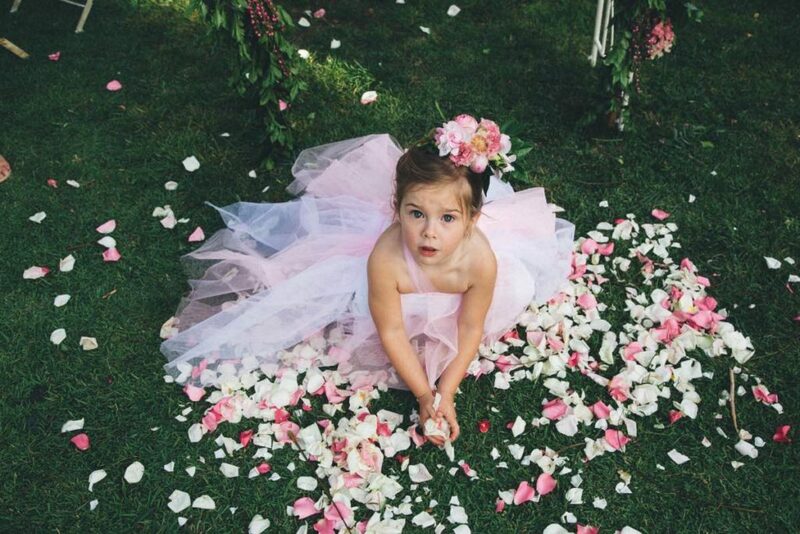 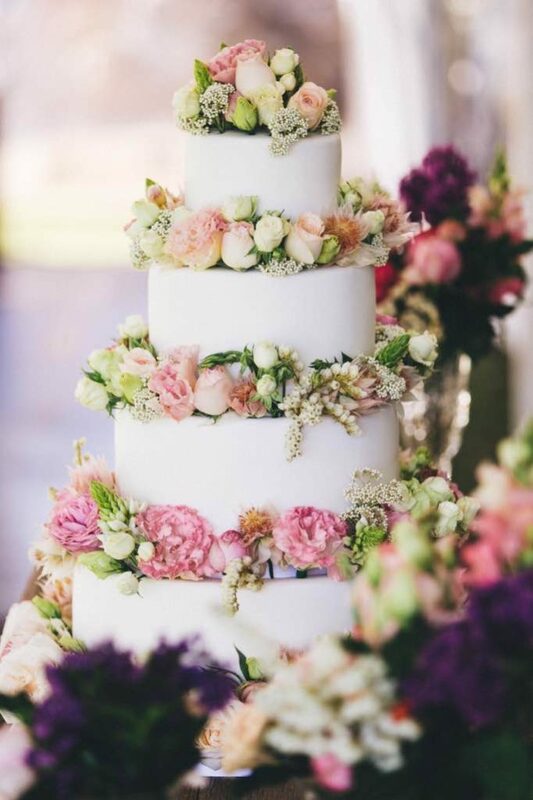 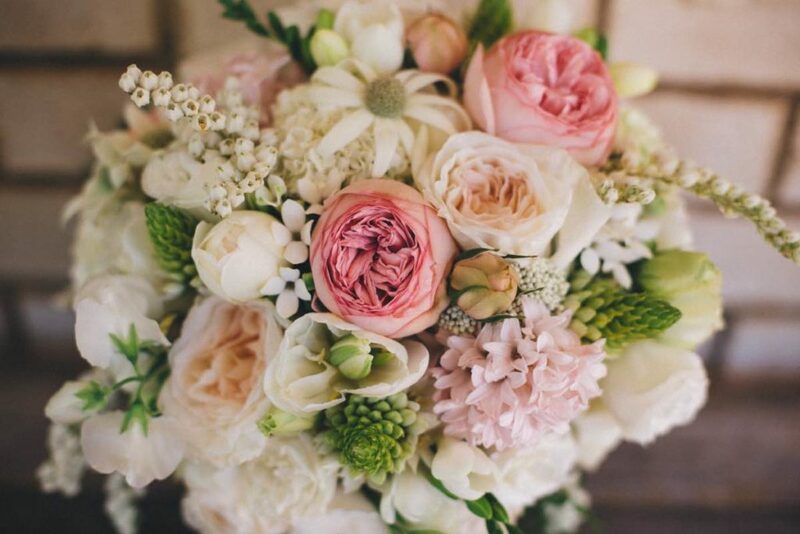 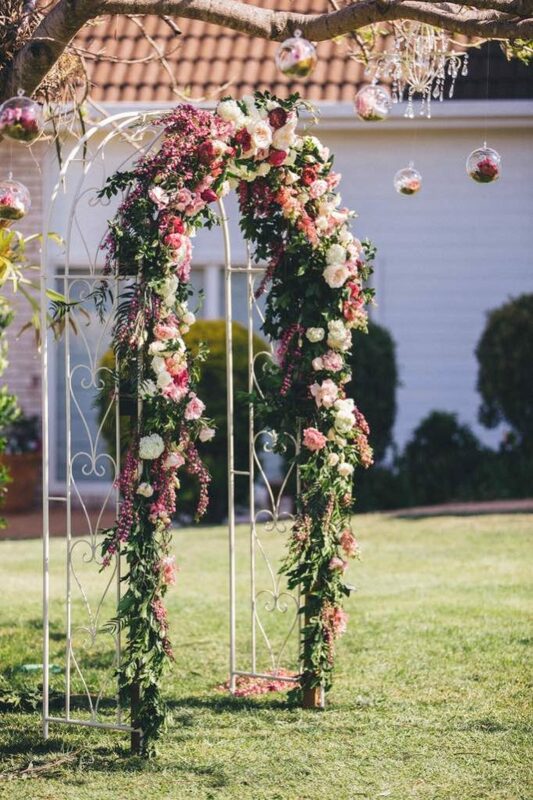 This style of full florals would suit perfectly for a Maleny or hinterland wedding.